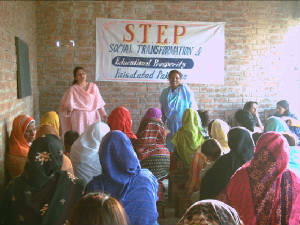 STEP Developed an Educational program with the community of Gaffari Town (Remote and slum area of Faisalabad city.) The program is developed by the people of the area .The People of the area discussed their problems that they can not send their children far away and in such schools, which are costly for them. 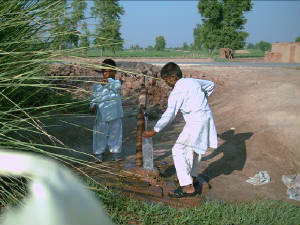 So on acute need of community a school (Mashal-e-Rah Model School) is started in the area .now we have 80 children. Many children are working in different sectors .so they are lacking of Education .The children themselves showed their interest that they also need education .but their availability is not possible in the morning time. So they decided, there should be such an educational program which can help them to fulfill their educational need in the evening. For the purpose we made survey under the program, (working and street children, to come for their consultancy for education. )Now we have 40 children in our program. The community developed a program with discussion that there should be some income generating programs. So we planed with community we must prefer to our small business (preparation of Children Garments, Embroidery etc) rather charwomen jobs. Support is needed for this Program. Field of Interests according to community situation and demands. 1- Low cost & subsidize education program. 3- Free education coaching program and night school study centers. 4- Education with working Boys. 1- Health education and environmental programs. 2- Low cost Latrine Programs in slum areas. 3- Community based Health Centers and Mobile Health Camps. 4- Ladies Health worker and Training Programs. 5- Clinical Laborites and Emergency Ambulance Services. 6- Awareness and causes of Blindness, Hepatitis A, B, C & Malaria. 7- TB Awareness, A result oriented Projects and Treatment. 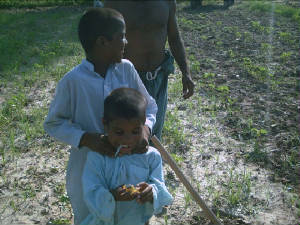 8- Rehabilitation of Disable Children and awareness program. 9- Oral and street Theatres Health awareness Programs. 10- AIDS (HIV) & Reproductive Health awareness. 1- Low cost computer programs. 4- Garments sewing embroidery etc. 5- Candies + sweets + biscuits + surf + soap making + tooth paste + shampoo making Skills. 6- Seminars with carpet Weaving Girls and boys. 8- Youth Technical orientation Seminars. 1. Seminars with youth + community meetings. 2. Gyms for Health Awareness. 3. 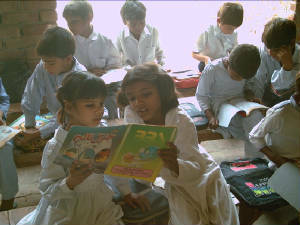 Reading rooms, Recreation, Sports & cultural activities. 6. Peace and harmony through sports. Seminars with the other organizations on Peace Building.Formation of committee of people belonging to different religion, Sects and faith. Farmers (Kisan) Local Seminars and Seed awareness. Tree Plantation with school children to clean environment. ¨ Old Age Programs and Shelters. ¨ Celebration of Different national & international days. · There is immediately need of reformation and upgrading exist school. · Proposals are needed support for completion identified by the community. STEP Team started work with community of Gaffari Town, Malkhanwala and Salak Town in April 2005.The men by profession are daily wages labors, bricks kiln workers , keep donkey carts , mule carts and have buffalos and they sell the milk of them. Women work as charwomen at the rich people houses. 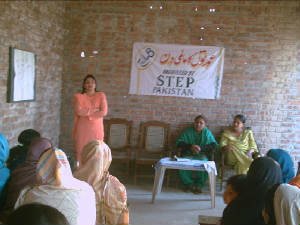 The community has no awareness about education .They told STEP Team that there will not be any advantage of Adult Education but STEP team was successful to motivate them, with inauguration of (Mashal-e-Rah Model School).STEP got encouragement .This Program also caught the attention of the other community members.. 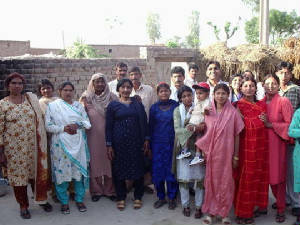 The program raised aspiration in maid women and girls to get education. So they organized the meeting and resultantly, an Adult Education program is developed with women and girls of Gaffari Town .STEP started this program in the evening and uses the school Building for this purpose. Now 25 girls and women in Adult education program. 1. We got confidence in people through developing small community based programs. 2. Small program like school to uplift educational standard which is the key of development of any society. 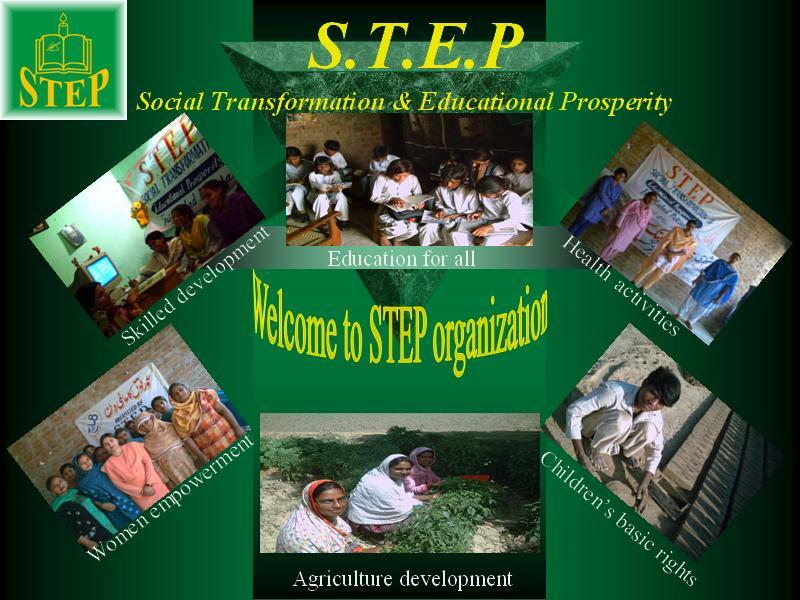 The community it self developed the organization, STEP. They are showing their fully favor for it which is the real sign of development. 2- For overall evaluation of the programs we will invite our net work organizations. 3- We make it possible for the other organizations to visit our programs. 4- Their suggestions will be healthy sign for our improvement.